Smartphones these days can do anything – find your location anywhere in the world, let you keep in touch with people in different continents, schedule your meetings and order you food on busy weekdays when you’re too busted after work to cook. They can also – with a little help – double as microscopes. And we don’t just mean magnifiers with a little extra magnification to enlarge whatever you’re looking at. We’re talking about magnification levels rivalling that of a top-grade stereo microscope. Some are portable, so you can simply clip them to your phone when on the go, while others hook on to actual microscopes or connect to them (often wirelessly) so you can snap pictures or record your viewings for later perusal. This is immensely helpful if you need images or other visual evidence as reference or to corroborate your project or hobby, since you can simply use your phone’s in-built camera to record and store all this data. Whether you’re into microphotography, are a researcher who needs to examine specimens on the go rather than have to wait to bring it back to a microscope at home, or a coin collector who’d only have to whip their phone out to study a potential addition to their collection, we’ve shortlisted our picks for the best microscope for iPhones. Traditional microscopes offer pretty much real-time magnification, in that what you’re viewing through the eyepieces isn’t something you can share with someone else unless you hook up a microscope camera or have them look through the scope themselves. This problem is entirely sidelined with this impressive set-up, which not only allows you to view magnified images of your specimen but lets you capture images and videos for later examination and documentation as well. With a maximum magnification level of 500x, and an optimum focusing distance of 0 to 10 cm, the digital microscope is compatible with both iOS and Android devices, only requiring you to download the supplementary app to use and run it. Usable as a handheld unit but also in a fixed bracket set-up, high performance photoresist sensors work to transmit crisp, clear images of your magnified specimen wirelessly to your device, capable of connecting with a device up to 10 meters away. The system features multi-stage digital zoom and a dial allowing you to fine-tune your focus, 8 in-built LED lights with adjustable brightness allowing you precision and control as you examine the specimen, working pretty much as well as a great stereo microscope, but perhaps arguably more versatile in application. The device is chargeable using a standard USB cable which can connect to a phone charger or power bank. The unit also comes with a platform to which the device can be affixed to use it hands-free, with stage clips to hold the specimen or object you’re studying in place. If you’re looking for something lightweight, portable and inexpensive, this handy little pocket microscope ticks all those boxes. 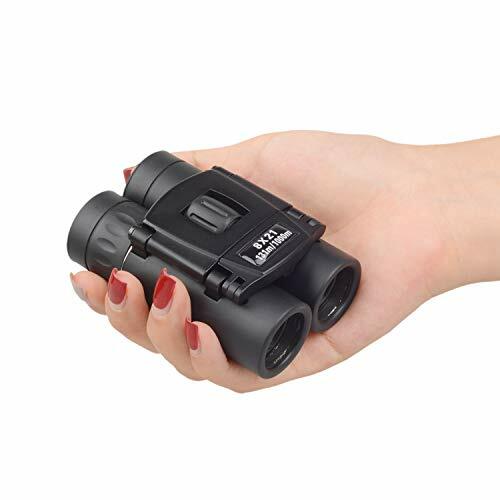 With magnification levels ranging between 60x and 100x, this is a useful gadget to have on hand if you stumble across an interesting coin to add to your collection or find samples of flora or fauna you’d like to examine more closely. The universal clip means the device can be attached to any smartphone, secured into place over your phone’s camera. Powered by three AAA batteries, this lets you focus on and magnify your subject, snapping images and recording video, all using the in-built camera of your phone. 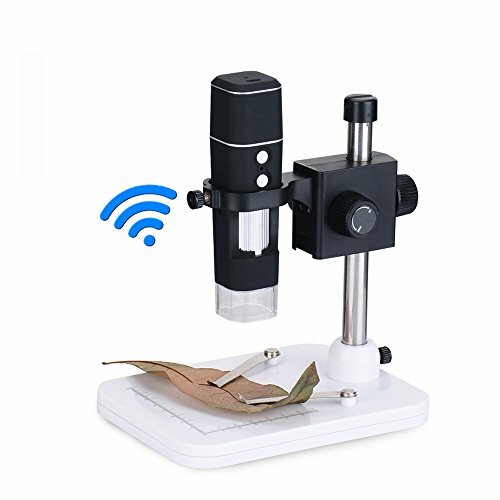 A sleek, compact microscope that clips into place over your phone camera, this pocket microscope features magnification levels of up to 200x, perfect for anything from examining coins, jewellery, stamps and so on to specimens for horticulture and entomology. The scope features a rotating dial for focus adjustment, with three in-built LED lights (2 white and 1 blue) to illuminate what you’re magnifying and studying, including UV lighting for precision magnification of details you might otherwise miss under normal light or with the naked eye. It’s a simple matter of clamping the camera into place – you can then use you’re phone’s camera to click and record magnified images and video recordings. Though technically not a microscope in and of itself, this adapter lets you use your phone in conjunction with a proper stand-up microscope to capture images and time-lapse sequences, record videos and simply view magnified images without squinting through eye-pieces. 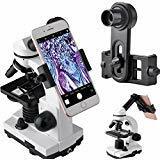 Essentially, this microscope adapter works with microscopes which have an optical tube or eyepiece barrel of 23.2 mm – the magnification depends on the microscope you’ve chosen, while the adapter lets you switch out the standard viewing head of your microscope for your iPhone. Aligning your phone’s camera and eyepiece lets you view the magnified image of your specimen through the comfortable 45° viewing angle on your camera app. You don’t need to install any external software, as long as you’ve ensured that the microscope you’re using is compatible to this adapter. 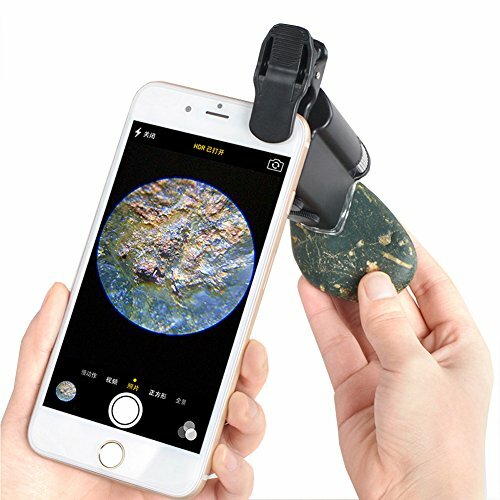 This is a brilliant choice for researchers, scientists and biologists, not to mention dedicated hobbyists and collectors, since you can use the adapter with compound microscopes of higher magnification levels to capture images and videos of (literally) microscopic specimens, such as leaf and skin cells – this is extremely useful for documentation and later reference for study and research. The unit features an in-built WF16 mm eyepiece.